Tony Stewart is a former tight end with 10 years of National Football League experience with the Cincinnati Bengals, Philadelphia Eagles and the Oakland Raiders. Originally from Germany, Tony grew up in Allentown, PA and excelled in football enabling him to attend Penn State University on full scholarship. The Philadelphia Eagles selected Tony in the fifth round of the 2001 NFL Draft. The next year he left to play for the Cincinnati Bengals where he stayed for five seasons before finishing his career with the Oakland Raiders in 2010. Tony’s main focus during his playing career was devoted to mentoring both his own peers as well as the youth of our nation. He was nominated by his former Cincinnati Bengals and Oakland Raiders teammates as a NFL Players Association union representative. He was also recognized for his work in the community by being nominated for the prestigious Walter Payton NFL Man of the Year Award. 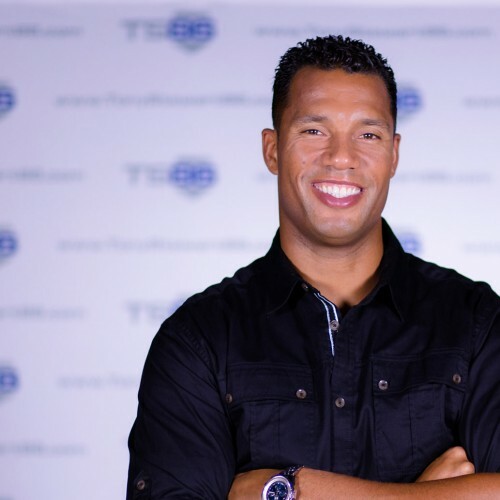 His most recent work as Founder/Executive Director of Beyond the Locker and his work with amateur and professional athletes received the attention of organizations and companies across the San Francisco Bay Area. The Oakland Raiders, UC Davis, Fremont Bank, Endicia, Fremont Unified School District and Kaiser Permanente are just a few organizations that have invested in the vision of the non-profit Tony started after his playing days were done. Tony is a certified speaker, coach and trainer ready to help you and your group live with intention and authenticty to make a positive impact in life. Find out more about Tony Stewart at http://www.tonystewart86.com.